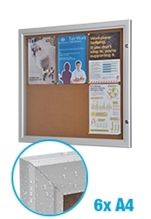 Slimline Warehouse’s range of notice boards, also known as information boards, tack boards or bulletin boards are a fantastic way to post messages. 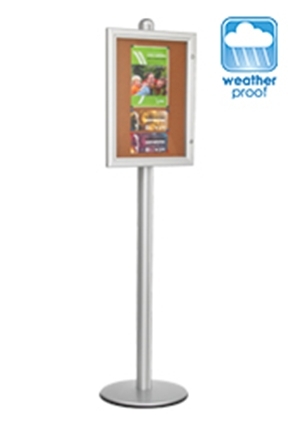 These display boards are fantastic performers at university campuses, schools, transport terminals and sporting arenas. 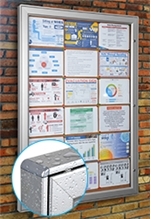 Because our notice boards are lockable, they are suited to a range of applications. 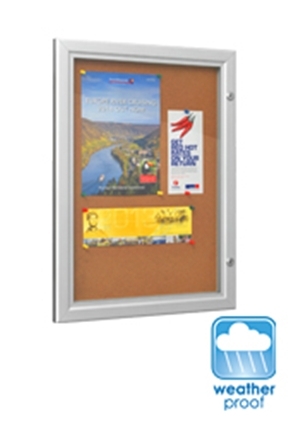 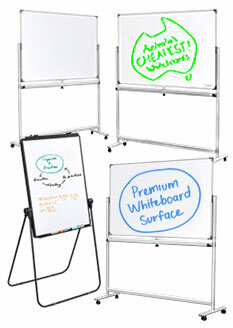 They are designed to be used indoors or outdoors which will allow you to display your noticeboard anywhere. 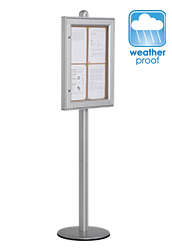 These notice boards with secure lock are built with a black gasket seal providing you with a weather proof way of posting those important messages. 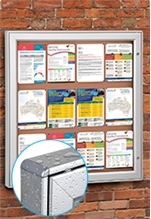 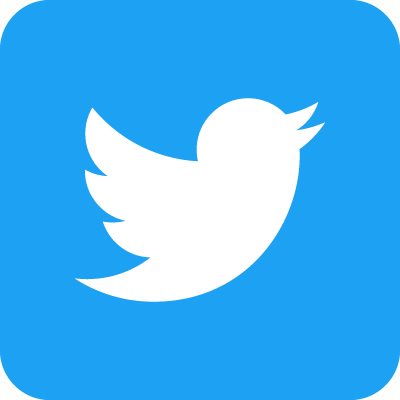 Constructed from durable and stylish aluminium, with a protective high impact polycarbonate lens, the unit will secure all you important messages. 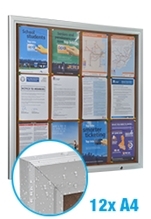 With our noticeboards, they can be displayed in either landscape or portrait format which gives you more versatility when it comes to positioning the notice board in your workplace. 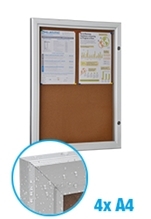 Also, having a secure lock on the notice board means that documents cannot be taken away from other staff members. 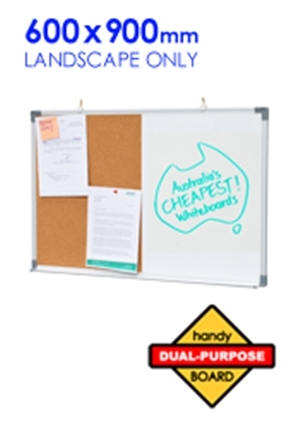 Updating the notice board will be up to the one person, which will eliminate confusion and will also save you office from having to make multiple copies of the same document. 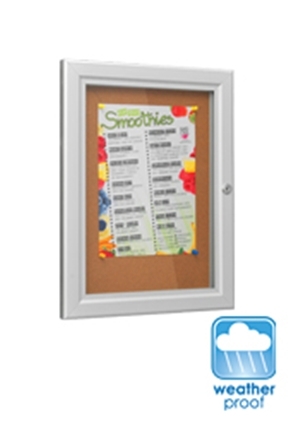 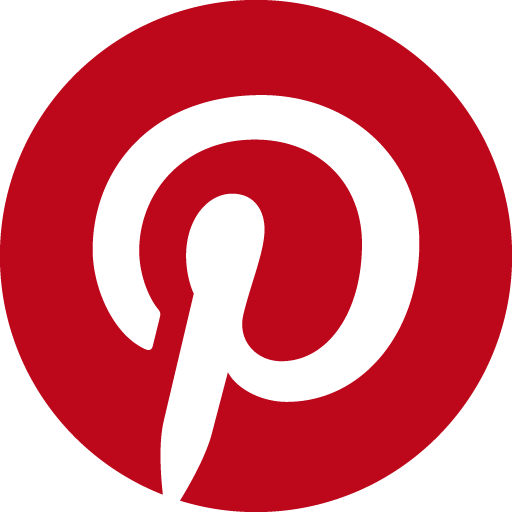 The memo board also becomes a useful tool at places like gyms and sporting arenas. 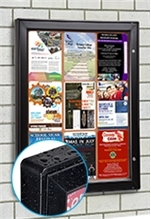 Weekly sports results can be displayed for the community to see. 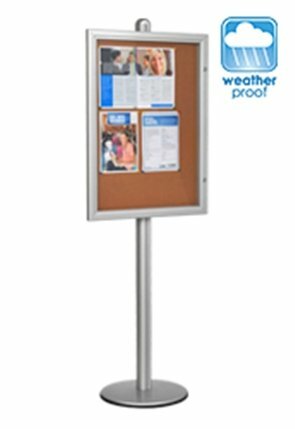 Gyms will also see the benefit of having this type of notice board as they will be able to post new gym classes and other activities or up coming events. 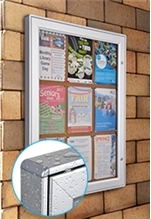 The lockable door will also provide protection for those documents when especially if the noticeboard is going to be placed near the pool. 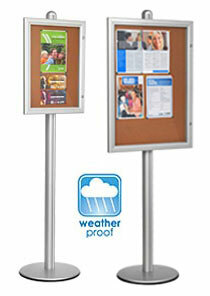 Another example of using the notice boards is using them at libraries and community centres. 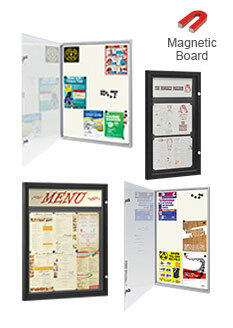 Places like these often get maximum exposure because of all the foot traffic that they generate. 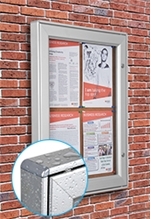 Placing a lockable notice board near the front entrance will give people full view of community news and updates. 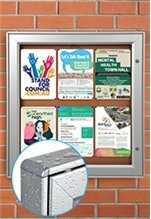 At other community places like recruitment agencies, the notice board updates people with information regarding new job opportunities and other tips on finding a job. 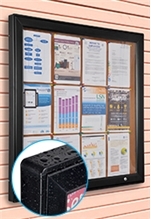 Notice boards have also made their way into apartment buildings. 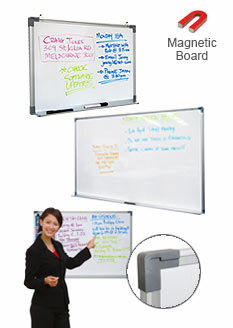 Body cooperate issues and rules of the apartment are often displayed in the foyer as reminders to tenants. 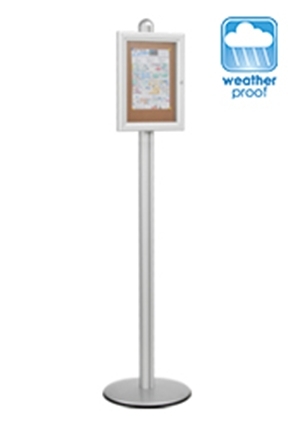 Locking the documents is a great way to ensure that no one tampers with notices and the keys can be securely kept by managers. 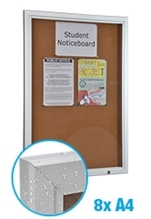 With a straight forward instruction sheet and fasteners, these notice boards will have you displaying messages in minutes.